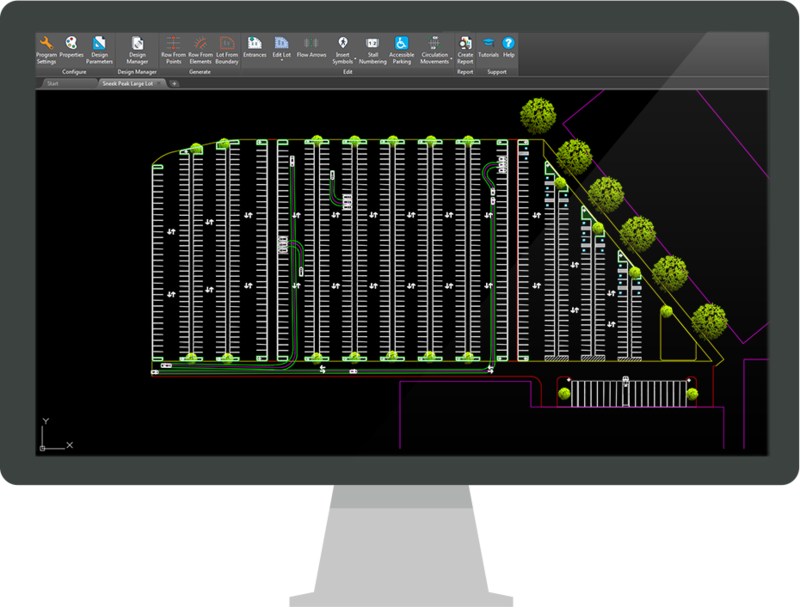 ParkCAD is an advanced CAD software that gives users the right tools to design parking layouts quicker and smarter than traditional CAD methods. 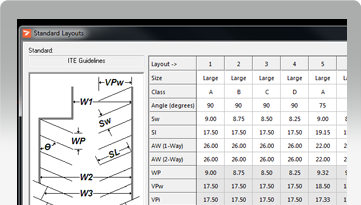 With powerful layout, optimization and editing tools, users will increase productivity. 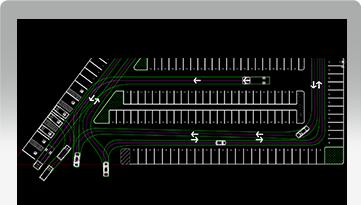 Save time and money by reducing time-consuming redrawing of parking layout designs. Planning becomes easier with real-time stall counts and powerful reporting abilities for estimating cost. 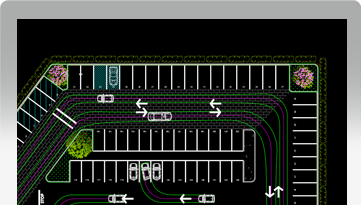 You can now add in traffic flow arrows with ParkCAD to determine the direction of vehicle movement in one-way or two-way traffic. 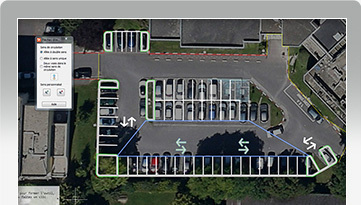 https://www.transoftsolutions.com/wp-content/uploads/2018/06/Fleches-directionnelles-parkings.jpg Overview Traffic Flow Arrows Add traffic flow arrows to determine the direction of vehicle movement for either one-way or two-way traffic.